There’s an awesome indoor play place in the west valley called Jubeelieve Indoor Playland. 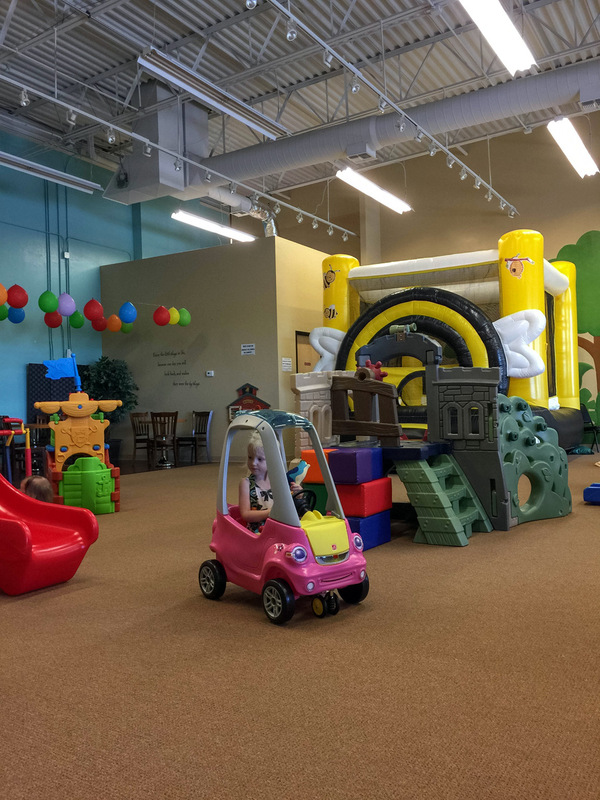 Based in Avondale, AZ, Jubeelieve is a fun play-place for kids ages 1 to 5. Your kids will have an absolutely wonderful time at the Jubeelieve play place! Our 3 year old daughter had a fantastic time playing with the trains, driving the cars, and running around with the other children who were there. Situated in a large building of about 7,000 square feet, Jubeelieve has tons of toys. From a full size bouncy house, to multiple climbing slides, and kitchens, trains that move, and race cars. They even have little cars you can move around, and toy musical instruments. The owners have done a great job decorating the interior. They have just recently completed a series of murals that wrap the room with pictures of trees, elephants, castles, and clouds. It’s a fun place to visit. Admission costs $9 for children 1 and up. Adults are free, and everyone needs to wear socks. They sell socks for $3/pair in case you forget to bring your own. Our only recommendation to make the facility even better would be to have play mattes for babies to play and crawl on. Currently, the only option is the floor. Also, the bouncy-castle is a nice touch, but we didn’t see anybody use it and the fans are quite loud. Jubeelieve is a great place to take the kids indoors in Avondale. If you’re looking for fun activities to beat the heat, and stay indoors. Check it out!